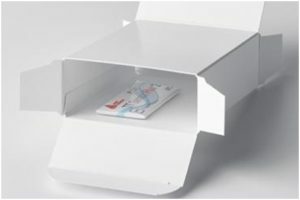 Oegstgeest, The Netherlands: – Global packaging and labelling leader Avery Dennison has collaborated with Pharma and Healthcare packaging specialist August Faller to launch a smart folding box that can monitor temperature sensitive drugs across the cold chain. The intelligent Faller packaging solution incorporates Avery Dennison TT Sensor Plus™ 2 technology, an intelligent and communicative label that enables temperature control throughout transportation and storage. The collaboration was announced at the recent CPhI Worldwide trade fair in Frankfurt, where August Faller was exhibiting. “This is a major step forward for the pharmaceutical industry,” commented Benoit Jourde, Business Development Manager Pharma Europe, Avery Dennison Label and Packaging Europe. “For pharma brand owners and Contract Manufacturing Organisations focusing on quality assurance and supply chain organisation, this combined approach provides a packaged solution that can help them improve transparency of the temperature monitored supply chain by being able to monitor down to the box level,” said Mr. Jourde. 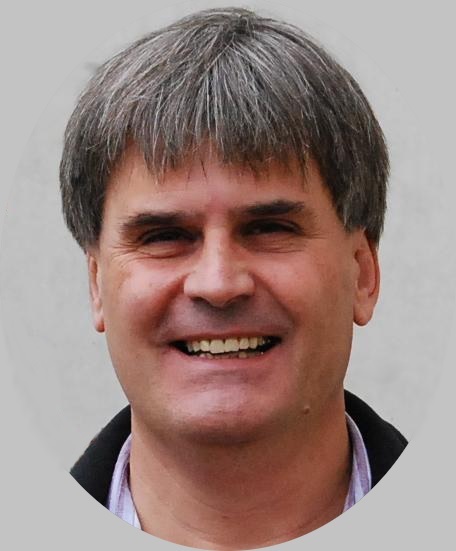 “Incorporating miniaturized temperature sensing and monitoring at package level, combined with Near Field Communication functionality, allows us to deliver a set of clear user benefits including an integrated solution leveraged from cloud computing and mobile apps, long service life and versatility across the entire range of temperature-critical products,” Mr. Hans-Jürgen Diesslin explained. Avery Dennison (NYSE: AVY) is a global leader in pressure-sensitive and functional materials and labelling solutions for the retail apparel industry. The company’s applications and technologies are an integral part of products used in every major industry. With operations in more than 50 countries and more than 25,000 employees worldwide, Avery Dennison serves customers in the consumer packaging, graphical display, logistics, apparel, industrial and healthcare industries. Headquartered in Glendale, California, the company reported sales of $6.1 billion in 2016. Learn more at www.averydennison.com. The August Faller Group is the leading manufacturer and solution provider for pharmaceutical secondary packaging, such as folding cartons, leaflets, labels and combination products. For over 25 years, the August Faller Group has continually expanded its expertise in the pharmaceutical market. The company has focused its innovations and developments on customer-specific solutions and patient-friendly products. It is one of first manufacturers to offer customized product engineering as its own service. Faller offers solutions such as logistics services, supply chain concepts, and packaging services related to pharma and healthcare packaging. The group is committed to sustainable and ecological operation and August Faller KG was FSC®-certified in 2011. The company was established in 1882. Today, a total of around 1,150 staff are employed at the headquarters in Waldkirch, additional German locations in Binzen, Grossbeeren, and Schopfheim, as well as August Faller A/S in Hvidovre, Denmark, August Faller Sp. z o.o. in Łódź, Poland and the subsidiary August Faller Artwork Solutions GmbH in Waldkirch. 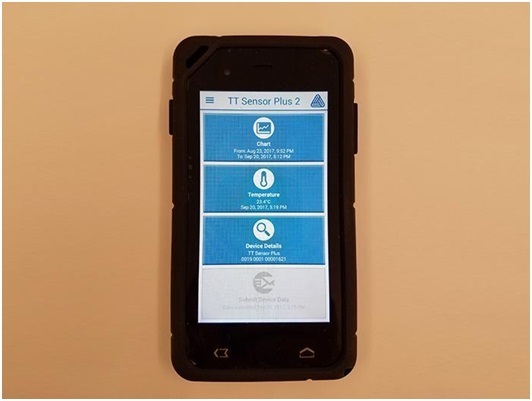 Avery Dennison has developed TT Sensor Plus™ 2 as a cost-effective, smart label solution that logs time and temperature, while offering multiple services such as a cloud environment and application programming interface (API) to manage data collection. An integrated chip records temperatures encountered throughout the supply chain journey, indicating whether the item is suitable for its intended use. The data is stored in a NFC microchip and can be uploaded to a smartphone or FAMOCO Android-based secure transaction device or even a computer at anytime, anywhere throughout the cool chain. When fixed to a product or container, the small, thin device can be programmed by the user to record the temperature history of goods at defined intervals during shipment. 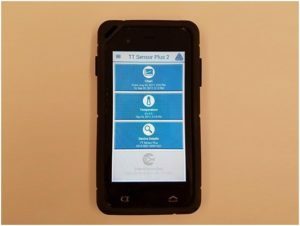 Once a shipment reaches its destination, the temperature data can be uploaded to the cloud or checked on a smartphone or FAMOCO NFC reading device that can be dedicated and hack proofed to prevent fraud or misuse. 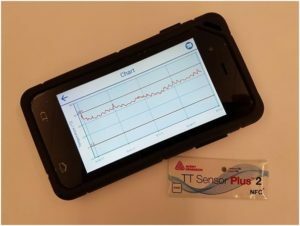 More information at Click on TT Sensor Plus 2. 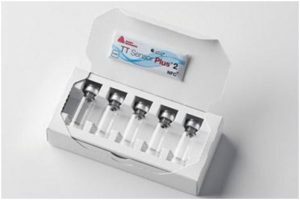 Click on Avery Dennison TT Sensor Plus secures temperature sensitive medicines for more information. Click on August Faller to see more on the new solution.